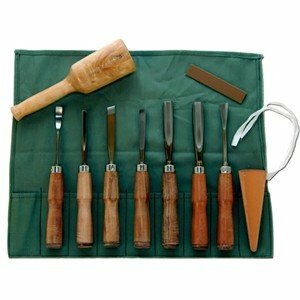 A 10-piece King Brand wood carving set, each essential tool fitted with a leather tipped handle. 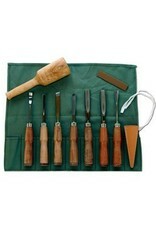 All tools are honed. Packaged in a canvas roll.